It’s another New Year, and if you’re anything like us you’ll have broken at least one of your resolutions already! But resolutions don’t all have to be about healthy eating and getting more exercise, they can also extend to your jewellery collection. We take a look at some resolutions that will help add a sparkle to 2019 and are a lot easier and more fun to keep! Have you ever thought how dirty your jewellery must get? Dust, fluff and oils from your skin all contribute to your jewellery losing its sparkle over time. So, make a resolution that you will clean your jewellery regularly, ideally once a month. A soft cloth works well for cleaning off any moisture and oils from your skin; while a soft-bristled toothbrush dipped in water is good for removing stubborn grime. And if you’re worried about damaging a piece, just give us a call. We offer a professional jewellery cleaning service that will bring your jewellery back to its former glory. We’ve all done it, gone to put a necklace on only to find it entangled with another piece, or wanted to wear a particular pair of earrings, but can only find one! Storing your jewellery properly doesn’t just make it easier to wear, but also makes sure it remains in tip-top condition. If you just dump everything together, it’s much more likely to get scratched. If you get a box with your jewellery purchase, then use it to keep the piece safe. You should also invest in jewellery boxes or soft fabric pouches for each individual item. That way, you’ll be confident no damage can happen to any pieces in your jewellery collection and, as a bonus, getting ready will be so much easier! How many of us have bracelets with broken clasps, tangled chains or rings with missing stones. Well, why not make this the year you get them repaired. 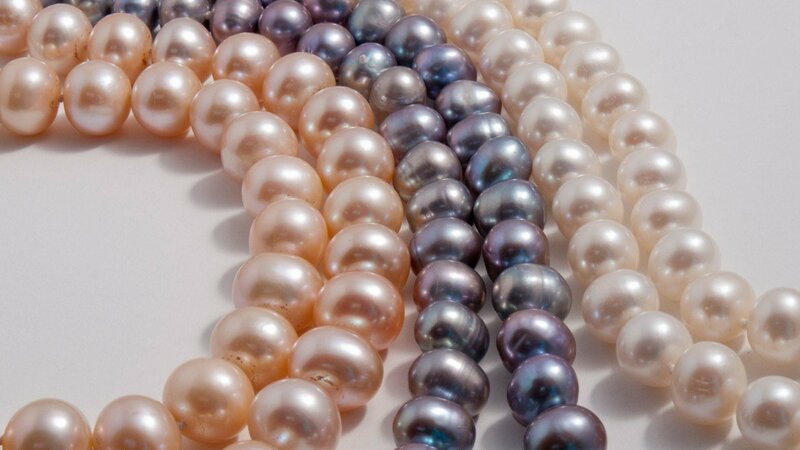 We offer a full jewellery repair service including pearl and bead restringing, stone replacement and ring re-sizing. And if you decide that a certain piece isn’t worth repairing because you’ll never wear it, why not use it as the base to create a new piece? Our on-site goldsmith works wonders and will help you come up with something that you love. We all have our go-to pieces; those items that we always wear, normally when we can’t be bothered to find an alternative! So, this year, how about switching it up a bit? Go through your jewellery box and dig out those pieces you have never worn or forgot you have and set a goal to wear a different piece once a week. It’s also a good excuse to have a bit of a spring clean, as you’re bound to find pieces that you just know you won’t ever wear again. And remember, more room in your jewellery box means more room for new jewellery! Jewellery comes in all shapes and sizes, but if you’re anything like most people, there is probably a certain jewellery style you always go for. Well, this year, be creative! Trying dangly earrings rather than studs, chunky necklaces rather than delicate ones or simply change the colour of the jewellery you wear. We stock a wide range of traditional and contemporary jewellery and cater for all budgets, so you don’t need to spend a fortune to try something new. You might be surprised how liberated you feel. And we’re always on hand to help, if you want a second opinion.